"The company expects the scope of price declines in main memory chip products to be larger than expected," Samsung said in a regulatory filing pre-empting its earnings guidance due next week. "Inventories piling up on its memory chip side and the weak performance of its display panels business due to bad sales of Apple's iPhones are hurting profitability for Samsung," said Lee Won-sik, an analyst at Shinyoung Securities. 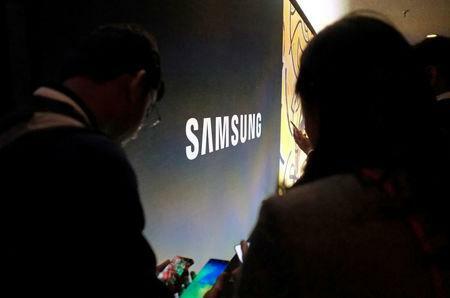 Daiwa Securities forecast Samsung's display panel division to swing to an operating loss of 620 billion won in the first quarter, while the semiconductor business's operating profit would shrink. Uncertainties over U.S.-China trade tensions and China's sluggish economy are clouding the outlook for global electronics makers, analysts say. "Samsung is giving a signal to the market so that investors can be prepared and there will be no surprise when Samsung posts its first-quarter earning guidance next week," said Park Jung-hoon, a fund manager at HDC Asset Management that owns Samsung Elec shares. "Its shares are not reacting a lot, though, as concerns over its first quarter have been reflected."